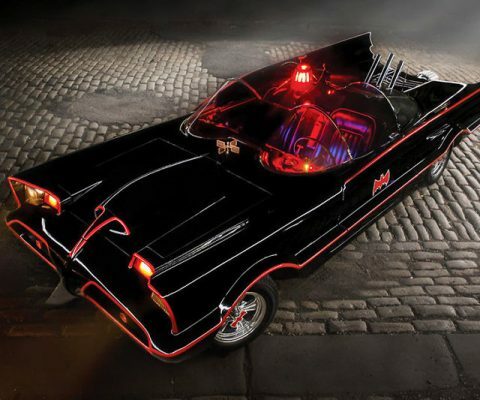 Holy hotrod Batman, the 1966 Batmobile is up for auction! Auto-enthusiast Jim Semershein transformed this 1959 Thunderbird into such a convincing replica of the iconic Batmobile that the original Batmobile designer George Barris granted this replica the status of original. 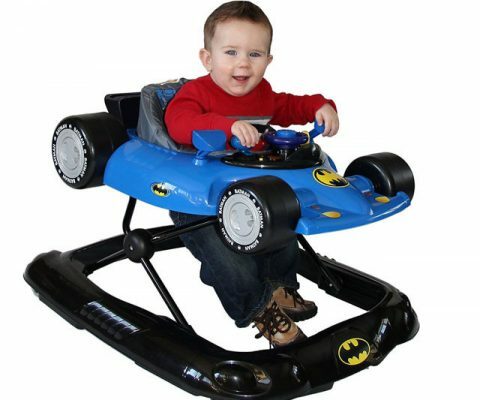 Ensure your pint-sized Caped Crusader moves around the house in style by placing him inside this baby Batman walker. 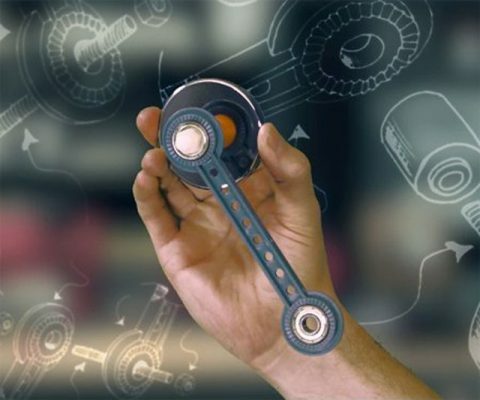 Modeled after the iconic Batmobile, it features an easy-swivel steering wheel and gear shifter in addition to flashing lights and cool sound effects. 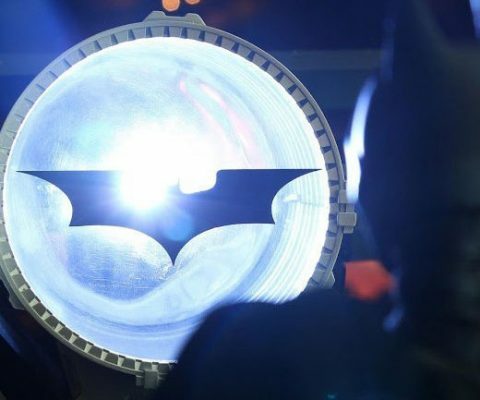 Get the attention of the Caped Crusader whenever trouble arises by lighting up this bat signal prop. Constructed from high quality materials, this desktop collectible will project the iconic bat signal up to ten feet away. Keep your little ones safe from monsters and things that go bump in the night by placing this 3D Batman nightlight on the job. 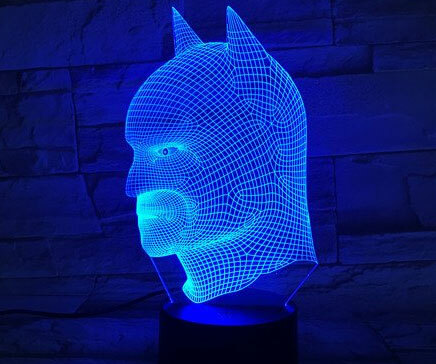 The lamp’s clever design creates a 3D image of the Caped Crusader’s bust that you can alternate between 7 vibrant colors. 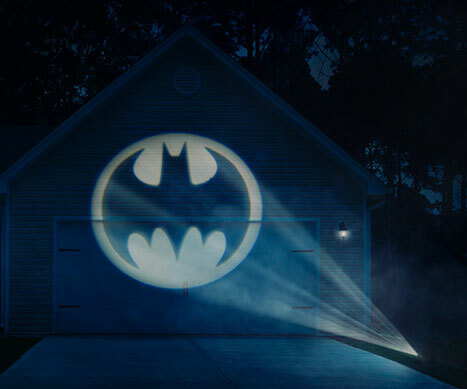 Call upon Gotham’s Caped Crusader whenever the mood strikes by lighting up this Batman Bat Signal projector. The clever design allows you to either mount it on the wall or drive it into the ground and project a yellow and black bat signal at the press of a button. 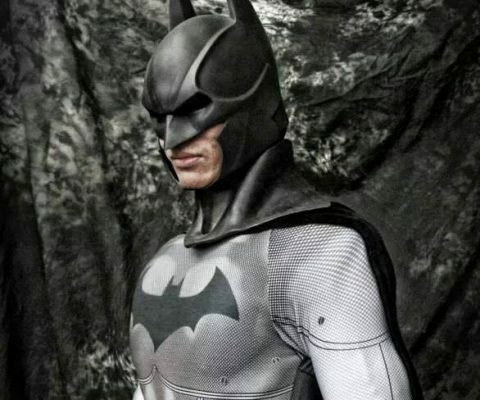 Become the living embodiment of the Caped Crusader by suiting up in this Arkham City Batman bodysuit. Modeled after the iconic video game, it features a black and grey color scheme and is custom made from an athletic grade 4 way stretch material. 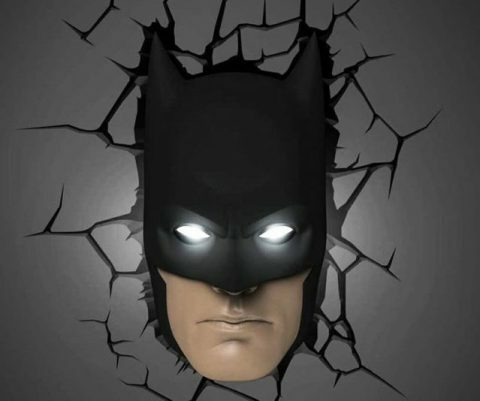 Ensure no villains or boogie men bother your little ones throughout the night by placing this Batman mask wall light on patrol. This wall mounted light creates the illusion that the Caped Crusader has busted through the wall to check in and keep a watchful eye. 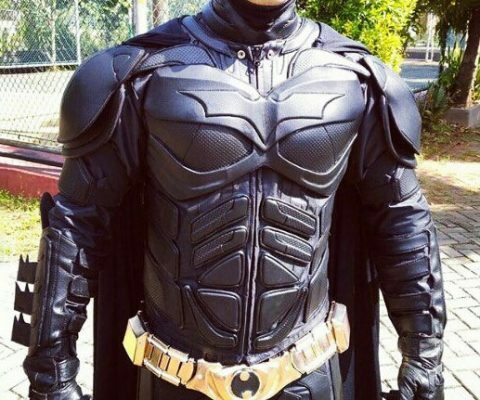 Take on your city’s rampant crime problem single-handedly by hitting the mean streets dressed in this Dark Knight Rises batsuit. Styled like Bruce’s iconic crime-fighting getup, it’s accented with a golden utility belt and his signature bat symbol across the chest. 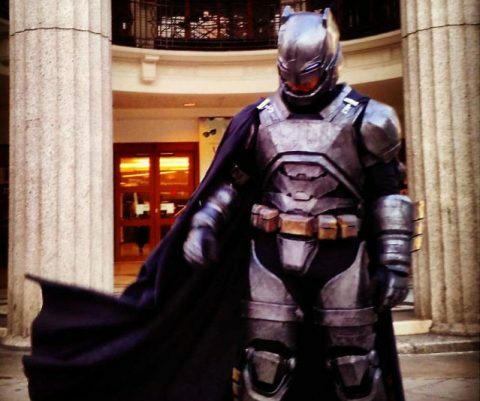 Gear up for your next costume party – or fight with a Kryptonian – by donning this Batman mech batsuit costume. Crafted by a team of skilled designers, this movie-accurate suit is made from heavy-duty EVA foam that is incredibly light for a comfortable fit. World’s Finest: The Collection starts off with this amazing Batman Box! 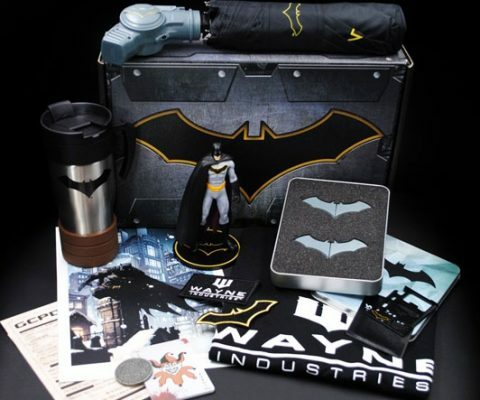 Filled with over $120 worth of premium exclusive apparel, accessories and an 1/12th scale vinyl collectible of the Dark Knight. Theses items can only be found in this box! While this giant Batman batarang may not fit to well on a utility belt, it makes the perfect addition to any geeky collection. 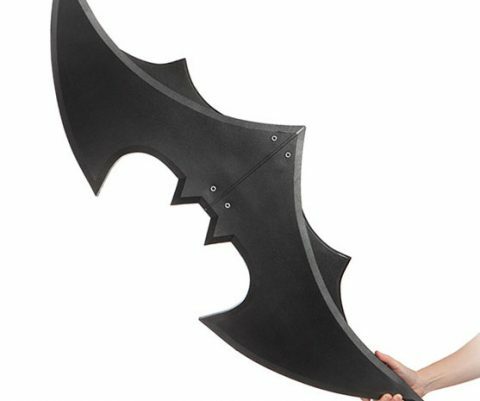 Weighing in at around 4.5 pounds, this mammoth batarang is crafted from foam rubber and measures 47 inches across.